Ancient Digger Archaeology: Untouched Tomb of Aztec King on Verge of Discovery? 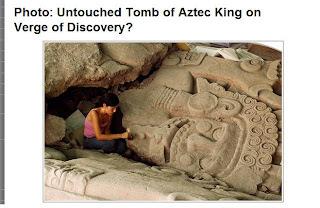 > Untouched Tomb of Aztec King on Verge of Discovery? Untouched Tomb of Aztec King on Verge of Discovery? After nearly 30 years in the field, archaeologist Leonardo López Luján may be on the verge of the discovery of a lifetime: the only known tomb of an Aztec king. An air of excitement has been thickening around Mexico's Templo Mayor (Great Temple) since 2006, when excavations near the temple revealed a stone monolith with a carving of an Aztec goddess. 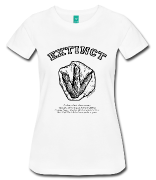 What a huge day for Archaeology and a great accomplishment for Leonardo Lopez Lujan. I can't even imagine how amazing this would be. Congratulations!